With a growing tech-savvy workforce, it’s no surprise that mobile learning (m-learning) is on the rise. In fact, it’s estimated that 47% of organizations are now using mobile for their online training needs. Although we’re quick to pick up on mobile learning for a younger workforce, it seems there is still a generational gap when it comes to teaching older employees. This may seem understandable. Older employees are invaluable assets. With years of knowledge and experience, you don’t want to alienate them from the learning process. But are we right to be so cautious about older generations and mobile learning? The answer is no. In reality, using mobile as a training tool helps all generations to meet their learning needs. And although you may think it’s difficult to use mobile to facilitate learning for diverse age groups, in actuality, the generational differences aren’t as big as you’d think. The simple truth is, we are underestimating the adaptability and tech sharpness of older employees - by a long shot - and the statistics prove it. Over 50’s are quickly catching up with the younger generations. They are currently the fastest growing demographic online. Facebook also boasts a high amount of older users. The heavily mobile trafficked site has over 50’s as their fastest-growing demographic. Mobile gaming usage lends valuable insights into the older generation’s mobile literacy too. Surprisingly, 45-54-year-olds make up 20% and 55-65-year-olds make up 12% of mobile gamers. These stats become even more interesting when you consider that only 14% of 16-24-year-olds are mobile gamers, meaning middle-aged people are more likely to be playing on their phone compared to their teenaged children. For all employees, mobile learning can offer real perks - learning flexibility, high engagement, collaborative learning, etc. However, for older employees, it has some added benefits. Studies have found that the introduction of mobile technology increases older employees functionality, comfort and overall attitude to technology. One study even found that video games can increase older individuals’ competencies with technology and boost their ability to learn new things. An interesting finding - considering the addition of gamification in mobile learning courses. Keep everything mobile friendly from large, easy-to-read fonts, big buttons, responsive design and clear images. This ensures that your employees can effectively learn on mobile. Creating a straightforward, step by step mobile learning experience will help older employees adapt. Adding how-to and troubleshooting guides will also boost their chances of getting to grips with your course and succeeding in learning. As we previously mentioned, gaming elements can positively impact how an older user interacts with technology. Therefore adding a points system, leaderboards, time scores, etc. can make mobile learning more fun and effective. Open channels of communication can help you two ways. 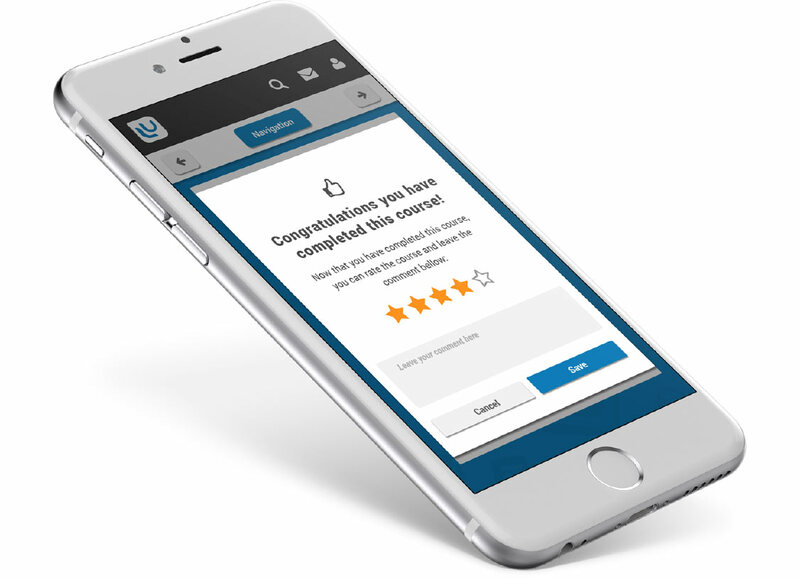 Not only does it allow older employees to get help with any problems, it also gives you key tips on how to improve your business's mobile learning experience. Although you may be trepidatious about trying mobile learning with your employees - old and young - testing it and keeping open communication with your employees is a great way to find out what will work for you. It’s simply about trial and error until you find the best way to incorporate mobile learning into your business’s online training needs.